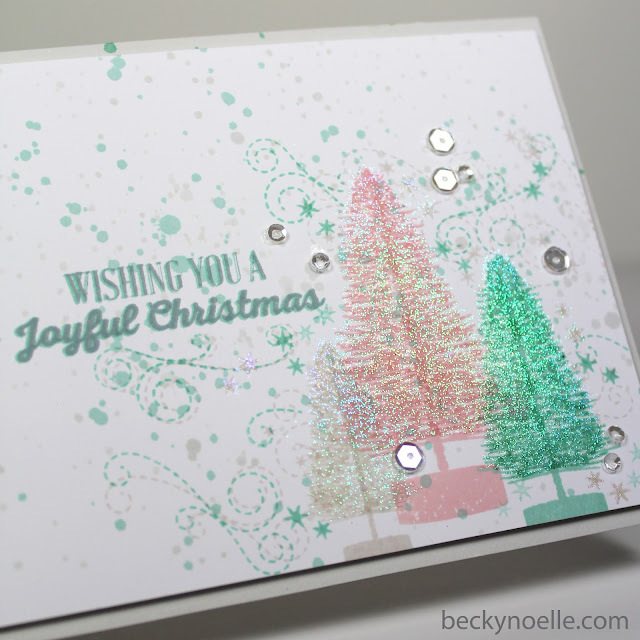 I decided that the splatter and the swirls blending in too much and the trees needed a little something so I embossed the trees and a few of the starbursts with glittery embossing powder. Decided it still needed something so I added the sequins. Our Elf arrived yesterday (well, today, because I'm actually writing this on the first, but we've done this before...) You can follow his silly antics on instagram #stanleetheelf2015. Our Elf (Stanlee) doesn't do naughty things and he doesn't watch us like a creeper, he just moves around and plays at night and brings little presents. (I decided to let the idea of an advent calendar for Bree go, so all of the stuff that I had already gathered for the calendar will be presents from Stanlee or will wind up in Bree's stocking). If you have an elf you can always check out Stanlee's pictures from last year on instagram #stanleetheelf2014 for extra inspiration! I'll be back tomorrow, have a fantastic day! Even though you sound like you were never really satisfied with this card, I like it. The aqua mist swirls added just the right finishing touch! I like it, too! Colorful yet soft:) Do you know the designer, Laura Bassen? She always says walk away and when you come back, you will realize you really like the card! I LOVE your trees, and even if you're questioning, have to tell you that your splattering turned out wonderful! Soft, yet full of holiday sprinkles! Your card is as sweet as can be! Oh goodness that is beautiful! Your splatting background is gorgeous!! Your glittery bottle brush trees really shine and are perfect with the rest of your design. Great card!